We’ve been delivering quality chiropractic care to the York community since 1993. Our office is conveniently located on Route 30, directly across the highway from Royers Flower Shop and next door to Subway. You deserve to be healthy from the moment you are born through your last breath of life! 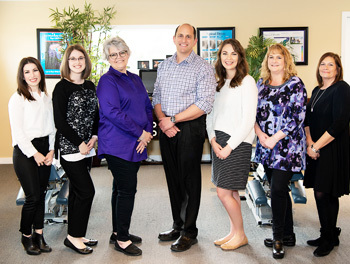 At Sheaffer Family Chiropractic, our mission is to help and coach you in your journey towards optimum health. The patients that get the best results from their chiropractic care are the ones that are taking healthy action in all aspects of their lives. This includes eating healthy, exercising regularly, not poisoning their bodies with chemicals like cigarette smoke, excess alcohol, drugs, etc., and engaging in healthy social and spiritual activities. Our patients which have chosen a chiropractic wellness lifestyle also understand the importance of the nerve system in optimum health and get regular chiropractic check-ups! 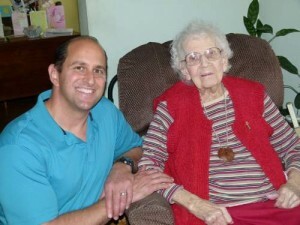 Margaret S., is very healthy and is Dr. Sheaffer’s oldest patient at 104 years. She has been getting regular chiropractic adjustments since the 1930’s! We encourage our practice members to achieve the highest levels of health they can. Through educational opportunities (like this website), we hope to communicate the value of ongoing chiropractic care. Sound interesting? Contact Sheaffer Family Chiropractic now to schedule a a time to come visit.